The term ‘Research and experimental development’ (R&D) covers all work undertaken ‘on a systematic basis in order to increase the stock of knowledge and the use of this stock of knowledge to devise new applications’, according to the definition in the Frascati manual. Government funding for R&D by businesses is understood to mean direct payments made by the government. It does not include tax incentives (indirect expenditure) such as the R&D tax credit (CIR) (chapter 31) or the ‘young innovative company’ (YIC) status (chapter 40), which constitute the main forms of tax relief used by the French government to promote R&D. Businesses based in France fund around 55% of the country’s gross domestic expenditure on R&D (GERD). Total expenditure on R&D by firms is €36.8 billion, which is 85% funded by companies in France and 7% by the government. In 2014, businesses contributed €26.1 billion to R&D funding, representing 55% of gross domestic expenditure on R&D (GERD). The level of funding by the private sector was much lower than that recorded in Japan (77.3), Korea (75.3%), Germany (65.8%) and the United States (60.9%) (chart 34.01). In the United Kingdom, businesses funded less than half of GERD (46.5%), 18.9% of R&D funding came from abroad, as compared with only 8% in France. Total business enterprise expenditure on R&D (see ‘Methodology’ opposite) amounted to €36.8 billion in 2014. Self-financing of €27.2 billion and inter-business funding streams worth €6.4 billion together financed 91% of this expenditure in 2014 (chart 34.02a). Funding streams from businesses within the same group accounted for €4.9 billion of these €6.4 billion, while those between businesses belonging to different groups represented only €1.5 billion. In 2014, 7% of research work performed in companies was funded by public resources (chart 34.02b). International organisations, the European Union and above all funding from the French government accounted for the remaining funding for R&D expenditure by businesses, €0.6 billion and €2.75 billion respectively (chart 34.02a). Government funding for R&D by businesses is understood to mean R&D contracts signed with dedicated State research institutions, as well as support measures provided by the State, whether direct or indirect. ‘Direct’ support is provided by means of subsidies, calls for tender and contracts supporting programmes that tackle key issues (table 34.03). 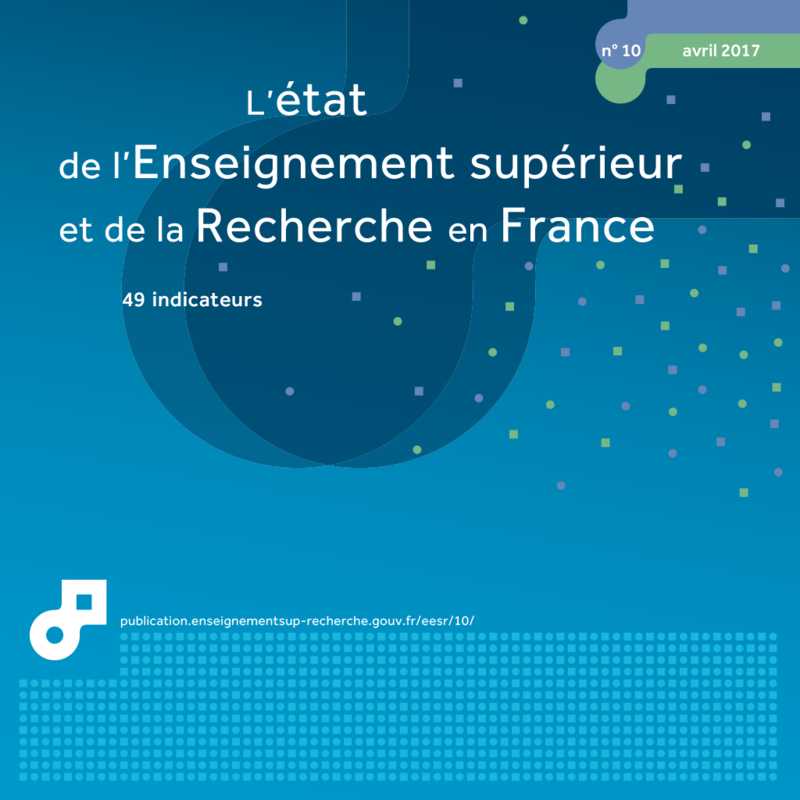 The research conducted may correspond to orders from government departments (€2.5 billion), in particular military allocations (€1.1 billion), from the Directorate General for Civil Aviation (DGAC) or work carried out by businesses and supported by organisations such as Bpifrance, the French Research Agency (ANR) or the Ministry of National Education, Higher Education and Research (MENESR). ‘Indirect’ government support takes the form of different tax incentives and repayable (where projects result in commercial success) advances, which are not included in this analysis. The most significant form of tax relief is the R&D tax credit (CIR), with a total of €5.6 billion paid out to 19,700 businesses based in France in 2013 (chapter 32). Due to the importance of military R&D programmes, 45% of government funding for R&D contracts signed with businesses came from the French Ministry of Defence (chart 34.04). Such funding therefore remained highly concentrated within a small number of research areas. Four branches of activity received over half of government funding (62%): ‘manufacture of air and spacecraft and related machinery’ (31%); ‘manufacture of instruments and appliances for measuring, testing and navigation; watches and clocks’ (12%); ‘Specialised scientific and technical activities‘ and ‘manufacture of communication equipment’ (9% each) (chart 34.04). 2 Government, higher education and the private non-profit sector. 5 Excluding capital expenditure, funding from abroad is included in the other categories. 2 'Total business enterprise expenditure on R&D' corresponds to the sum of funding for intramural business enterprise expenditure on R&D and that for business enterprise expenditure on R&D implemented in the public sector and abroad. 2 The STSI is the technology and information society department within the Ministry of Industry. 3 Ministry of Defence (DGA) and military division of the CEA.